Because of a fortune teller's silly prediction, Yang Mimi suffers with awful suitors. The faces of the men her father bring home grow more and more startling... Does Mimi really have to give up her happiness in this way? As if she'll let that happen! If Mimi is to find happiness, she'll have to find her own husband! It doesn't matter who, as long as his face doesn't make her gasp! Initially I was not captivated by this manhua, but I am glad I gave it a chance to grow on me. The premise of the manhua seemed rather shallow, and I left off after the first few chapters without the intention of returning. Once the heroine's love interest became more apparent, and his character background was revealed, I became much more interested. The art style was beautiful. I loved the costumes and historical settings. I also enjoyed the historical details and context in China. 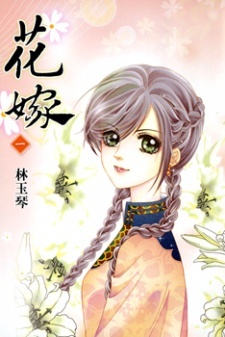 As the story ripened, it definitely took on the feel of a Chinese romance manhua with star-crossed lovers and family intrigue.